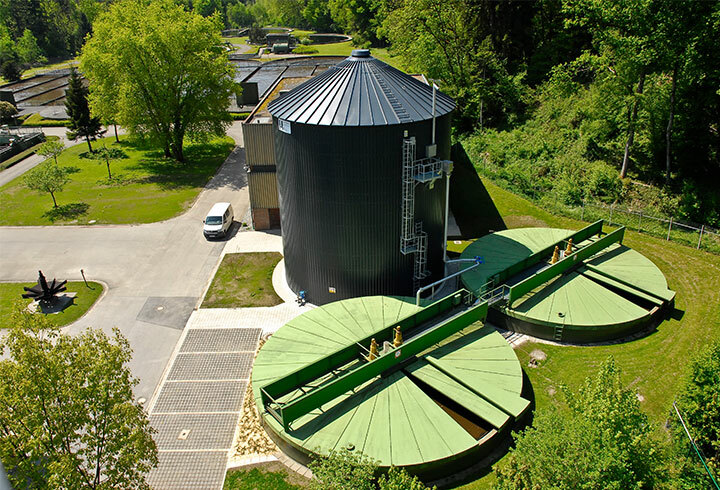 LIPP KomBio-Reactor for industry and local authorities: The innovative and outstandingly economical solution for energy production at biogas plants and stabilisation of sewage sludge has been in use in many countries for over twenty years. Quick realisation, low investment costs, high operating safety and long service life are all characteristics that speak for themselves. The system is suitable for small and large plants and complies with industry standards. 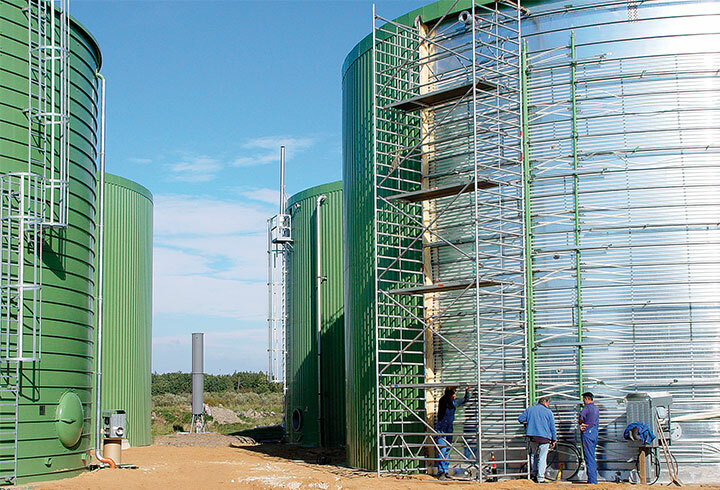 The LIPP digester system has a modular design: digester chamber volumes ranging from 100 m3 to 2500 m3 per unit are available – with an integrated gas accumulator and all the necessary functional and safety elements in each case. 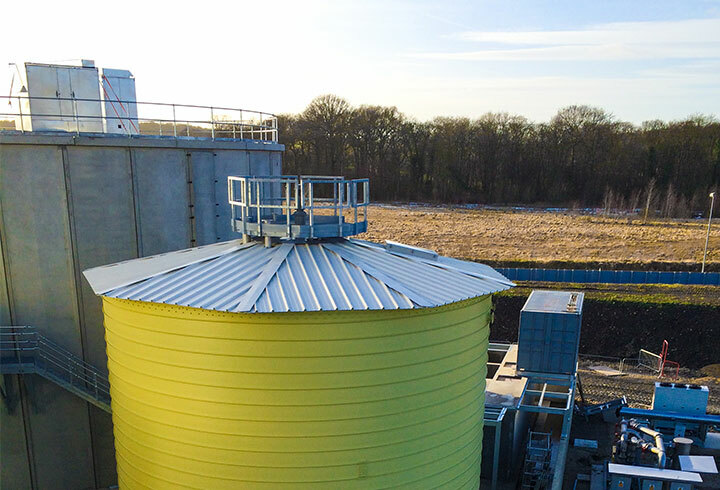 The combination of digester and gas accumulator provides a compact solution and saves on expensive pipeline construction and additional containers. The range of material grades available and individually customisable pumping and stirring technologies enable flexibility in terms of the substrate composition which can be matched to the intended application. In addition, further tanks for pre- or post-treatment (e.g. 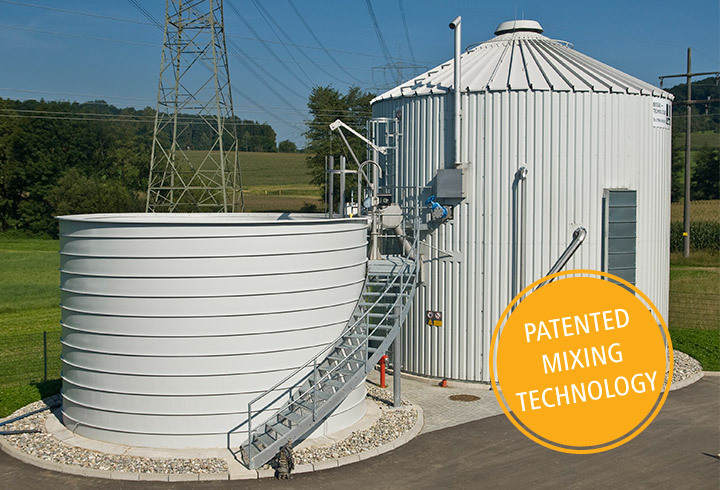 hydrolysis, post-digesters and sugar beet silos) can be provided. 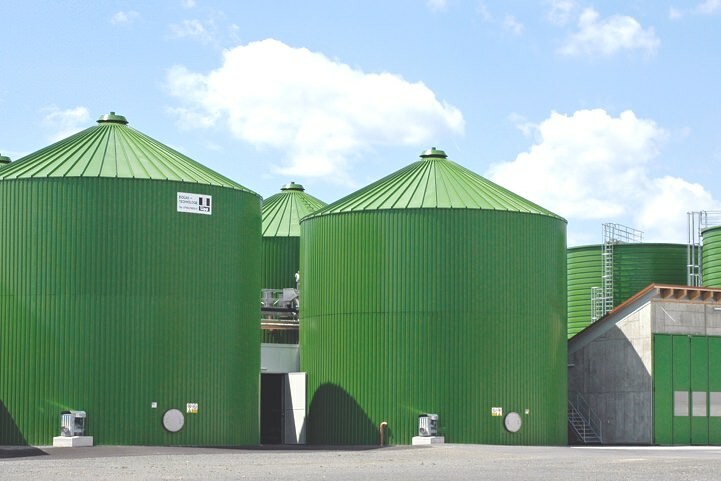 With Lipp tanks for biogas plants and anaerobic digestion, you will benefit from 50 years of experience in plant and tank construction. 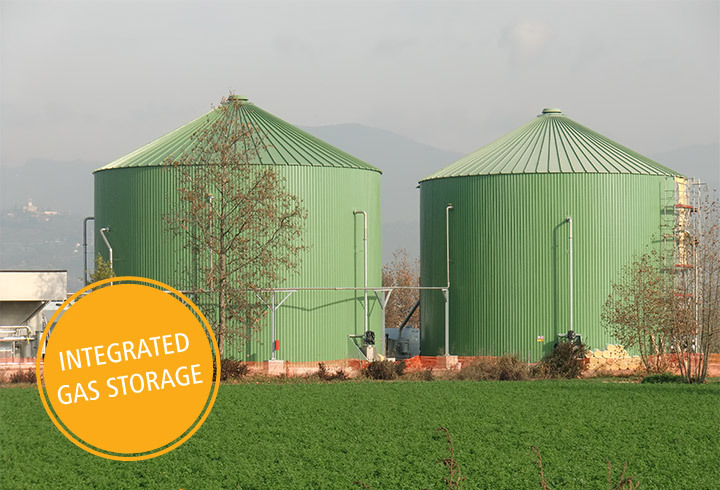 Lipp tanks are built all over the world using patented Verinox stainless steel and are characterised by their high quality and maximum leak-tightness. 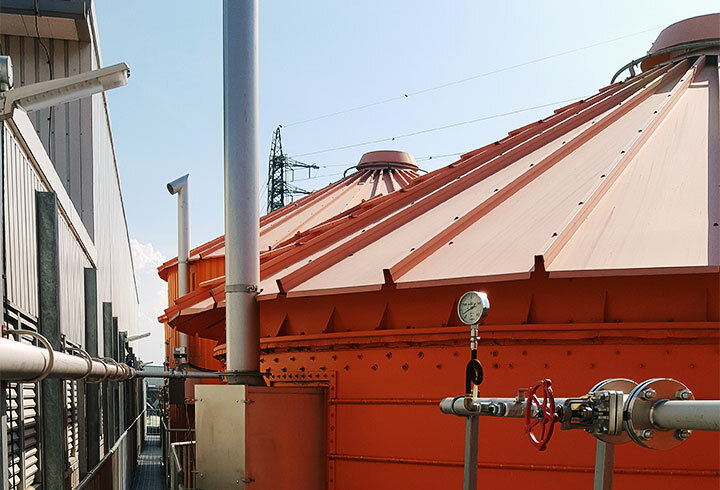 The automated assembly technology in the LIPP Double-Seam System enables the fast construction of stainless steel tanks, which in turn has a positive effect on investment costs. The benefit for you: flexible construction technology with efficient production on site requiring minimal installation space and ensuring a short installation time. The smooth internal walls of the LIPP Digesters (largely without any internal attachments) ensure gentle, uniform mixing while keeping energy consumption low. 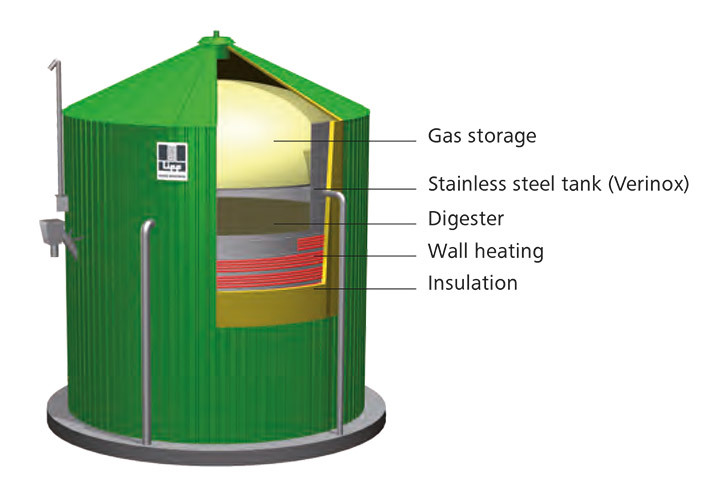 The external heating system guarantees uniform temperature distribution in the digester. 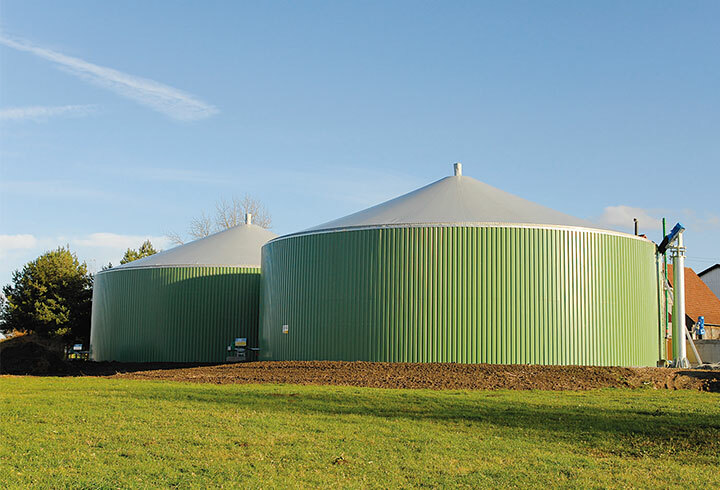 These mechanical and thermodynamic benefits with LIPP digesters mean short retention times. The high functional safety, especially for heating and stirring technology, ensures a low demand for process energy and this is combined with the benefits of minimal maintenance requirements and a long service life.